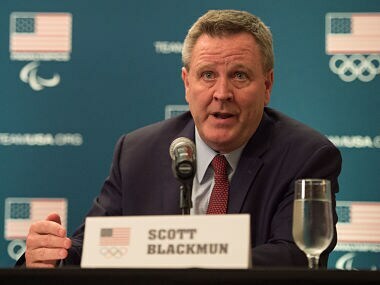 Washington: A US Senate subcommittee is seeking FBI investigation of former US Olympic Committee chief executive Scott Blackmun for making "materially false statements" to lawmakers probing sexual abuse in gymnastics. Republican Senator Jerry Moran, the chairman of the Senate subcommittee on commerce, and Senator Richard Blumenthal, the highest ranking Democrat on the panel, issued a joint statement on Friday saying they had referred the matter to the FBI. 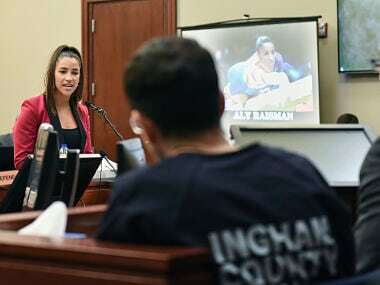 The move comes after a damning report released on Monday that said the USOC failed to react swiftly when first warned of allegations surrounding former gymnastics team doctor Larry Nassar in 2015. Instead, according to the report commissioned by the USOC and carried out by Boston law firm Ropes and Gray, they concealed the doctor's crimes until the scandal erupted into public view in late 2016. 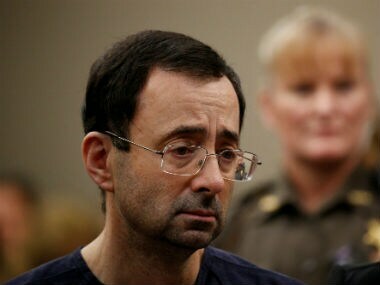 Nassar was jailed for life earlier this year afer abusing more than 250 athletes, inducing several stars of the United States' gold medal-winning teams at the 2012 and 2016 Olympics. 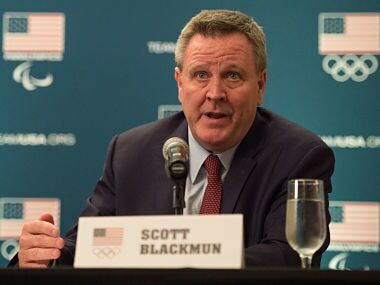 The senators cited Blackmun's written testimony to the subcommittee that when he heard of the allegations against Nassar in a July 2015 telephone call from then USA Gymnastics chief Steve Penny that he spoke to the USOC's "SafeSport staff" — which oversees abuse claims in Olympic sports. But they noted that independent investigators found no evidence supporting Blackmun's claim that he held a meeting with USOC staff to make sure the matter was properly pursued. "The Subcommittee takes its oversight role seriously and it appears that Mr. Blackmun has made false claims and misled our Subcommittee — harming the investigation and the ability to develop policy," the senators said. "Just as importantly, survivors of abuse have had to wait longer for the truth and longer for systemic changes to help prevent others from similar injury." Blackmun stepped down in February amid stinging criticism of his handling of the case, not long after disclosing he was battling prostate cancer. The Ropes and Gray report indicates that USOC chairman Larry Probst and then board member Susanne Lyons — who will take over as chair next year — were not aware of the allegations against Nassar until the scandal broke in the media. Probst said Friday after his final board meeting before departing at the end of the year that he couldn't comment on Blackmun's testimony to the Senate subcommittee or the senators' action on it. "I don't think it's appropriate for me to speculate on what Scott was thinking or not thinking," Probst said. "Obviously the system broke down in many aspects." Lyons said board members were committed to making changes that would prevent a similar breakdown but offered no specifics. Board members were briefed Friday by Ropes and Gray personnel on their findings. "One of the questions we asked was given that we did not learn this information, that there was a failure of transparency where the information did not move up the pipeline, we asked what we could learn from that and what we could have done differently," Lyons said. "Ropes said they felt the whole organization was disabled, in a sense, from being able to take appropriate action because that information did not flow. They didn't have a simple suggestion or answer but it certainly tells us that we have to reinforce very clearly what type of information flows up to the board and make sure we are asking the appropriate questions so that things cannot go unsaid and things cannot go concealed." Lyons said more robust oversight of National Governing Bodies (NGBs) of Olympic sports by the USOC was also called for. 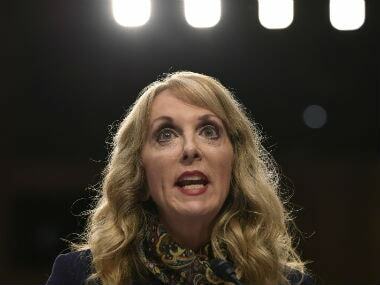 They are going ahead with efforts to decertify USA Gymnastics, accusing it of failing to grapple with reforms. Other sports bodies, Lyons said, understand the need for scrutiny. "We have not received any pushback from our NGBs, even though much of it is going to make their lives more difficult," Lyons said. "I think they all understand that we all have a joint obligation to ensure that we do a better job."